Shop online for over 300 aerobonus plastic models at discounts up to 26%. Parts/Acc. is the most popular of the 4 aerobonus plastic models categories, then Dioramas, and Figures. 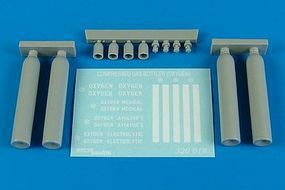 This is the 1/32 Scale Compressed Oxygen Gas Bottles Plastic Model Aircraft Accessories from Aerobonus. 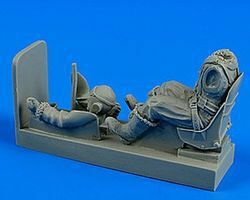 This is the 1/32 Scale Spitfire RAF Pilot w/Seat by Aerobonus. This is the 1/48 Scale Soviet Weapons Loading Cart Plastic Model Aircraft Accessories from Aerobonus. This is the 1/48 Scale MiG21 MF/Bis/SMT Pilot w/Ejection Seat Plastic Model Aircraft Accessories from Aerobonus. This is the 1/48 Scale British Sea Harrier Pilot Falklands War 1982 Plastic Model Aircraft Accessories from Aerobonus. 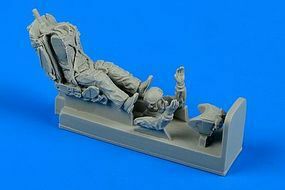 This is the 1/48 Scale F4B/N/J/S USN Pilot & Operator w/Ejection Seats Plastic Model Aircraft Accessories from Aerobonus. 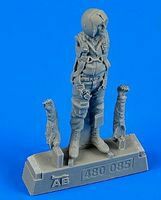 This is the 1/48 Scale Me262B1A/U1 German Luftwaffe Pilot & Operator w/Ejection Seats by Aerobonus. 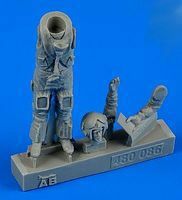 This is the 1/48 Scale USAF Fighter Pilot Vietnam War 1960-75 Plastic Model Aircraft Accessories from Aerobonus. 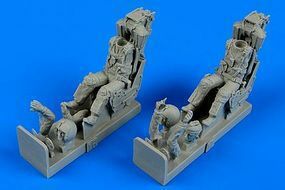 This is the 1/48 Scale F16 USAF Fighter Pilot e/Ejection Seat for ACY, HSG, KIN & TAM by Aerobonus. This is the 1/48 Scale BLU27 Fire Bombs Plastic Model Aircraft Accessories from Aerobonus. This is the 1/32 Scale USAF L19/O1 Bird Dog Pilot w/Seat for ROD by Aerobonus. This is the 1/48 Scale US Army Load (2) by Aerobonus. This is the 1/48 Scale Remove Before Flight Flags White Lettering (Decals) Plastic Model Aircraft Accessories from Aerobonus. This is the 1/48 Scale US 55 Gallon Vertical Position Barrels by Aerobonus. This is the 1/32 Scale United Tractor GC340-4/SM340 Tow Tractor w/Cab Plastic Model Aircraft Accessories from Aerobonus. This is the 1/32 Scale Remove Before Flight Flags White Lettering (Decals) Plastic Model Aircraft Accessories from Aerobonus. This is the 1/48 Scale US Army Aircraft Mechanic #3 WWII Pacific Theatre by Aerobonus. 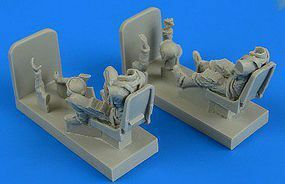 This is the 1/48 Scale Flightline Universal Box by Aerobonus. This is the 1/48 Scale US Army Aircraft Mechanic #1 WWII Pacific Theatre by Aerobonus. This is the 1/48 Scale Fire Drums & Buckets by Aerobonus.